Samsung today launched the Successor of the Galaxy Note – Galaxy Note II at the event in Hyderabad, India. The Galaxy Note II is available at a price of INR 39,990 and it can be purchased on a 9 month 0 percent EMI from Samsung official stores. 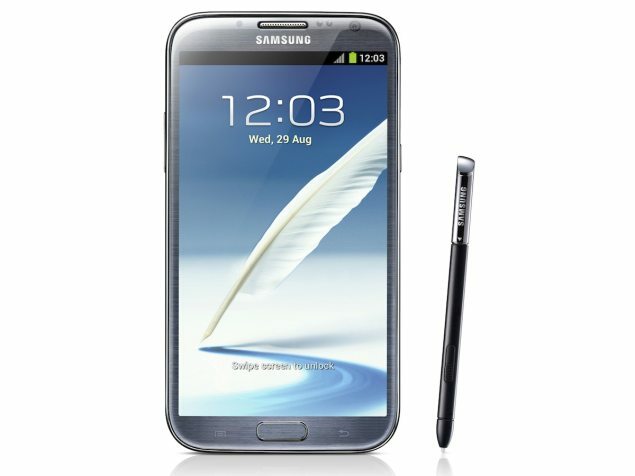 As discussed earlier The Galaxy Note II runs on Android Jelly Bean packs a 1.6 GHz Quad-​core Exynos processor, a 5.5-inch HD Super AMOLED screen with a resolution of 1280×720 pixels. The ‘phablet’ has 2GB of RAM, a 8 megapixel rear-​facing camera, 1.9 megapixel front-​facing camera and pow­ered by 3,100 mAh battery. Samsung also included a better version of S-Pen with Galaxy Note II. It is a bit longer, wider and designed for better grip. 5.95 x 3.16 x 0.37 inches (151.1 x 80.5 x 9.4mm) weighs 180g. Just as a side note, The Samsung Galaxy Note had recently got a price drop and selling at INR 29,990.